Note: This product can only be shipped in the USA. 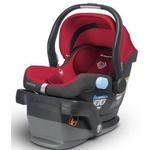 Robust, adjustable headrest reinforced with EPS foam provides added protection for your child. 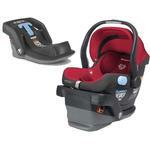 As your infant grows, the MESA infant car seat adapts. MESA’s unique no-rethread five-point harness is adjustable from the front, allowing for proper fitting in just seconds. The MESA paired with the VISTA or CRUZ stroller delivers a Performance Travel System that is the ultimate in portability and safety. No need to sacrifice performance for convenience. 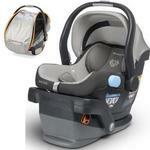 Infant can face you while strolling, or right up to a table without a handle in the way. 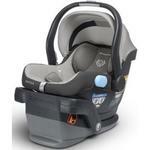 A quick press of the button on the top of the carrier handle releases it from the stroller. Go from stroller to car in one motion. With its unique design and engineering, the MESA combines safety and simplicity in one. From easy installation to innovative safety features to one-button stroller release, MESA has taken the guesswork and hassle out of infant car seats. 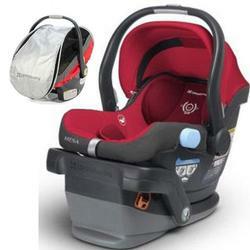 The MESA inserts directly into the VISTA or CRUZ for a performance travel system. An industry first, UPPAbaby MESA’s SMARTSecure™ system provides parents with visual confirmation that their seat is installed correctly. 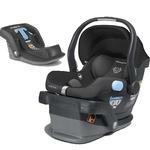 Adjustable headrest with Side Impact Protection: Robust, adjustable headrest reinforced with EPS foam provides added protection for your child. 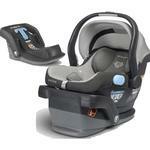 No-Rethread Harness: As your infant grows, the MESA infant car seat adapts. MESA’s unique no-rethread five-point harness is adjustable from the front, allowing for proper fitting in just seconds. PERFORMANCE TRAVEL SYSTEM: The MESA paired with the VISTA or CRUZ stroller delivers a Performance Travel System that is the ultimate in portability and safety. No need to sacrifice performance for convenience. 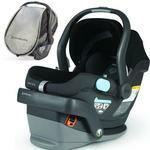 Reversible on stroller: Infant can face you while strolling, or right up to a table without a handle in the way. One-handed release from stroller: A quick press of the button on the top of the carrier handle releases it from the stroller. Go from stroller to car in one motion. For caring and busy parents who are annoyed by the sun shining through the gaps of their existing sunshade, the UPPAbaby Easy-Fit sunshade offers the simplest, most complete sun coverage for their infant, toddler or child. An added plus for the design-conscious parent, the stretchy, sleek black mesh is both unobtrusive and stylish. Stretch material allows flexible window coverage up to 17 x 28"
Protect your little one from all kinds of weather while on-the-go. The Cabana provides the ultimate in protection against sun, wind, rain and insects.